The artist behind the current installation Mettre la tête où l’on pense, on view in Montreal through March 16, 2019, Michèle Lapointe was presented with the 2018 Jean-Marie-Gauvreau Award in December. An annual award presented by the Conseil des métiers d’art du Québec, the prize was created in 1976 in honor of the founder of the Salon des métiers d’art du Québec and is considered to be one of the most important distinctions of the fine-craft community of Québec. A professional craftsman must have at least 10 years of practice to be considered, and the winner receives a $10,000 scholarship for the success of a work created within the past five years. The work must stand out by it’s uniqueness, and Lapointe's work seems to have done so effectively. A visual intervention on the novel Carapace by Québécois author Mario Girard, the installation is made up of 13 blown and deflated glass elements featured alongside photographs, the glass forms interacting with the imagery like warped lenses. A recurring theme throughout much of Lapointe’s work is the effects of child abuse. 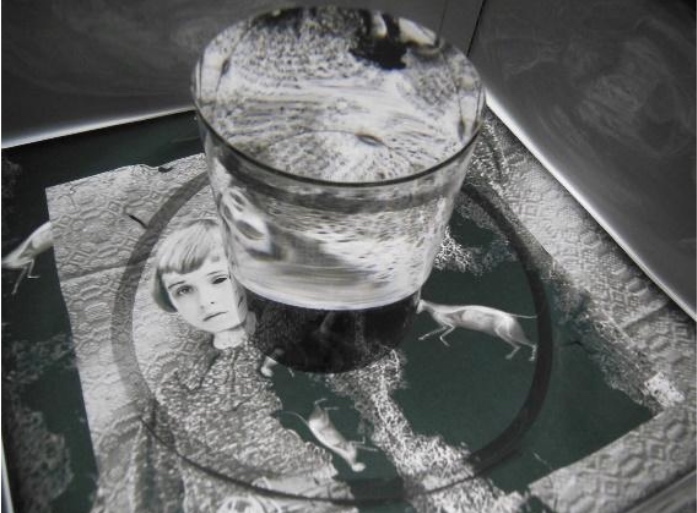 As exhibited by Mettre la tête où l’on pense, Lapointe was able to use the ambiguous nature of glass to her advantage. The optical effects provided by glass allowed for her to distort text, images, and objects placed beneath it. The image projected onto the viewer is dependent upon their point of view, therefore evoking the distress and feelings of abandonment linked to child abuse. In an email exchange with the Glass Quarterly Hot Sheet, Michèle Lapointe discussed her inspirations for the installation. She writes: "In my work, I try to express deep personal feelings of distress that I have perceived and had the opportunity to encounter throughout my life, both in adults and children." Over the past ten years, she has developed a series of works entitled "Contes muets et non-dits sous verre." "The subject of these works, inspired by popular tales, real facts or imaginary stories, is the fragility and vulnerability of beings and glass is omnipresent in this corpus," says Lapointe. In regards to her alludes to child abuse, the artist says that "the distress of children touches me deeply and seems universal to me; it goes beyond the notion of nationality, race, gender, social or economic background." When it comes to the award, Lapointe claims that it was unexpected and increased her desire to continue her work: "I see it as an important recognition of my artistic journey, which has always been on personal paths and not associated with recognized trends." One of the criteria for receiving the award is that your work should have an impact on the evolution of craftsmanship. In the artist's eyes, "I have never confined myself to producing only according to traditional techniques, I have always sought to innovate, to modify the use of materials, to develop different points of view and to seek new expressions and creativity without constraint." As one of the most notable distinctions to the fine craft community of Québec, the Jean-Marie-Gauvreau award signifies new recognition that Lapointe deserves. 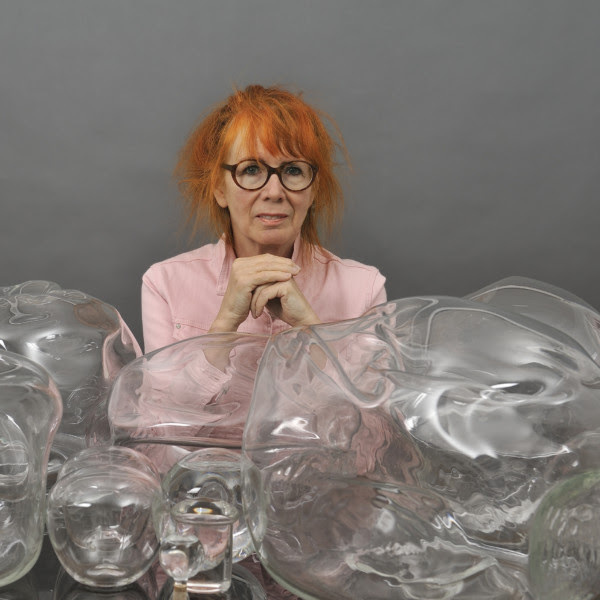 Her creative process is unlike that of anyone else's, invoking personal experiences and memories and then using glass as a lens to make a viewer question images presented at face value. Lapointe explains that, "In the use of glass, what characterizes me is my search for optical effects in the service of artistic and emotional expression." "Mettre la tête où l’on pense"